Abstract: Advances in information and communication technologies led to the emerging of modern digital systems which facilitate sharing of information and innovations. 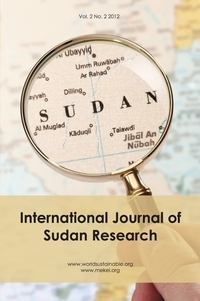 These systems are thus supportive to the Sudanese cultural “collective” memory institutions as a collective memory bank of the nation achievements and indigenous knowledge. This article aims to investigate these digital systems in these institutions as transfer of information and communication technology from perspectives of the users. It has reviewed and assessed infrastructures, resources, systems and ICT readiness, which will contribute in these institutions to adopt digital memory of Sudan. The outputs guide to carry out reforms and rehabilitation to build capacities and revitalize infrastructure of digital environment which affect reliance and shared resources in memory institutions. It is concluded that these repositories which will be represented in Sudan national digital content. Finally, the article proposes to revitalize of the country’s cultural policies in line with the principles of cultural diversity and development of a comprehensive strategy for long-lived digital explicit and tacit knowledge.